Pleasure boats on Rangeley Lake, which also graces this month’s cover.  [T]o come up with our 2016 list of Maine’s best places to live, we launched an online tournament bracket seeded with 16 of our favorite towns, selected by Down East’s editors using benchmarks like home prices and median income, along with subjective criteria like natural beauty and local businesses we admire. Then we turned things over to you. 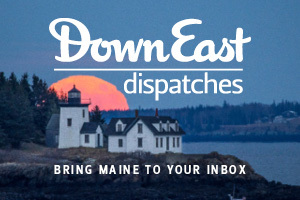 Thousands of readers voted in four “Maine Madness” elimination rounds, ultimately selecting one winner-take-all superlative Maine hometown. 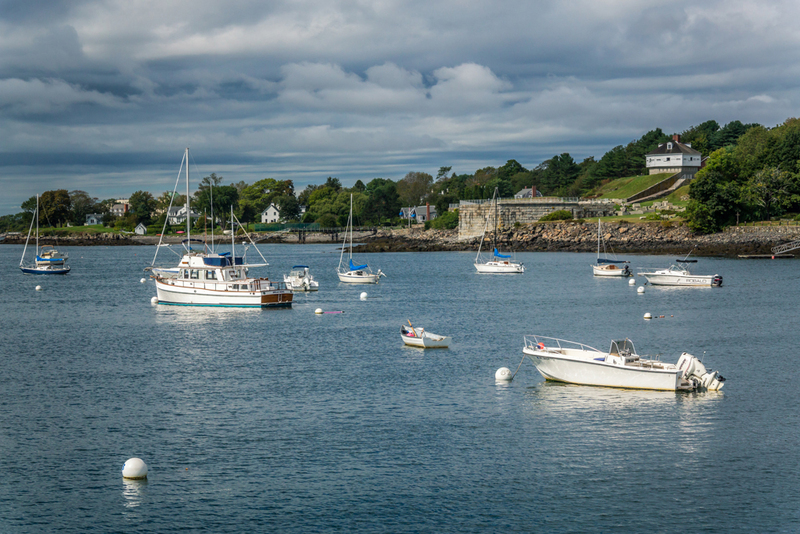 Read on to explore the sixteen idyllic burgs that made it into this year’s tournament — and discover the quintessential Maine mountain town that came out on top! 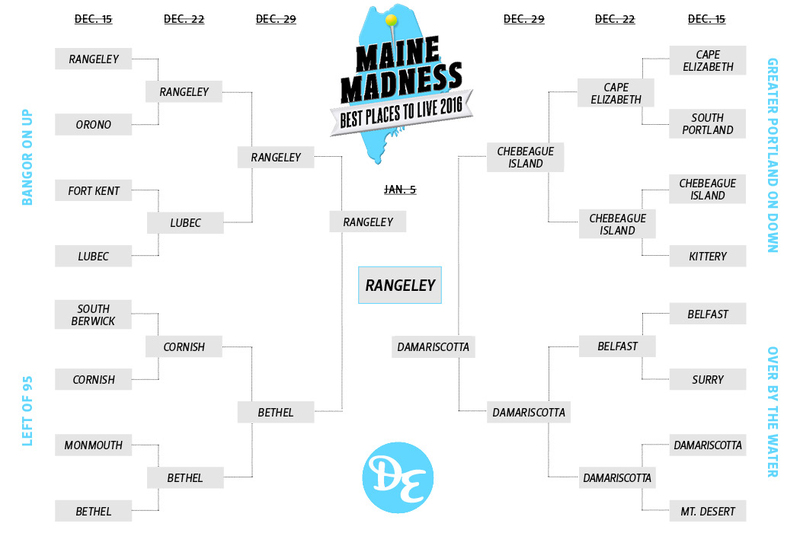 [H]ow did remote little Rangeley — nearly an hour’s drive from the nearest college, supermarket, or hospital, all in Farmington — beat out every contender in four rounds of voting to take top honors in our Maine Madness tournament? The answer’s not complicated. 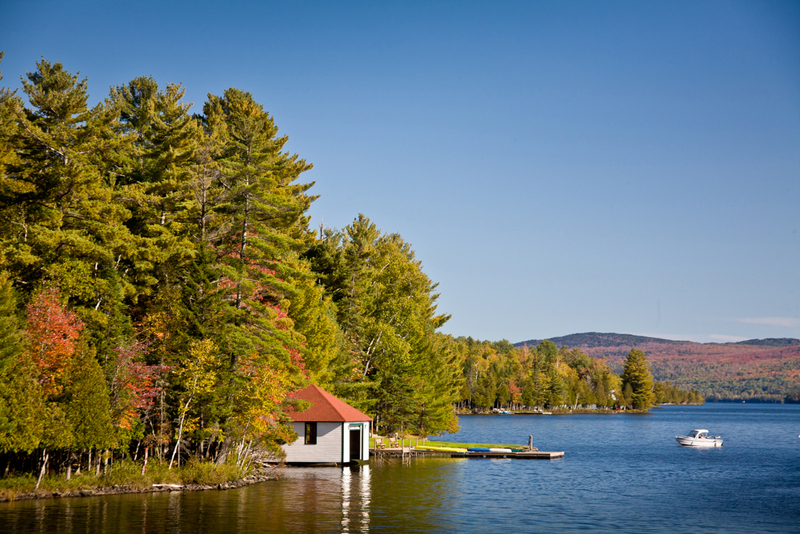 Call it Rangeley’s unofficial slogan: Come for the outdoor rec, stay for the family-friendly locale. Outside of the real estate game, Nichols is also a Master Maine Guide. Rangeley and its surrounding townships are crawling with registered guides, a legacy dating back to Cornilia “Fly Rod” Crosby, who left a banking job to work in a Rangeley hotel in the 1870s. Crosby became a famous outdoor writer, an evangelist for western Maine’s trout streams, and, in 1897, the first licensed Maine Guide. 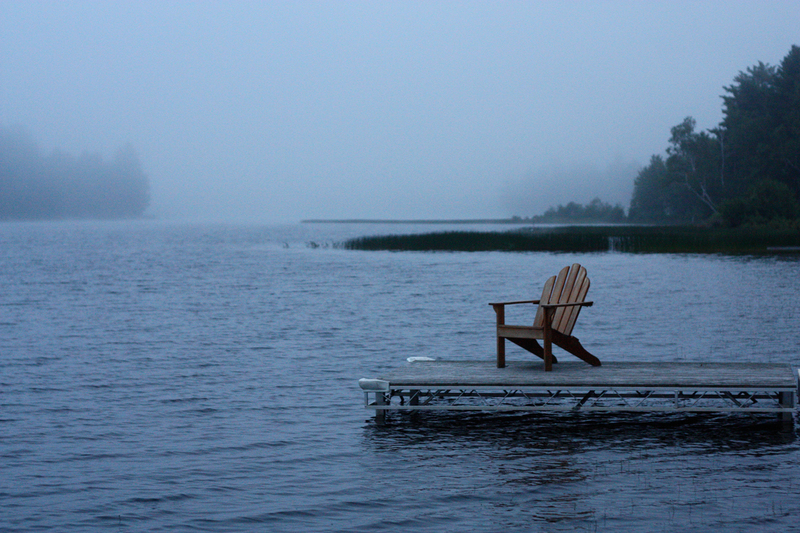 Among those she lured to fish in Rangeley was President Herbert Hoover. Since Hoover left, snowmobilers, paddlers, skiers, and mountain bikers have arrived. 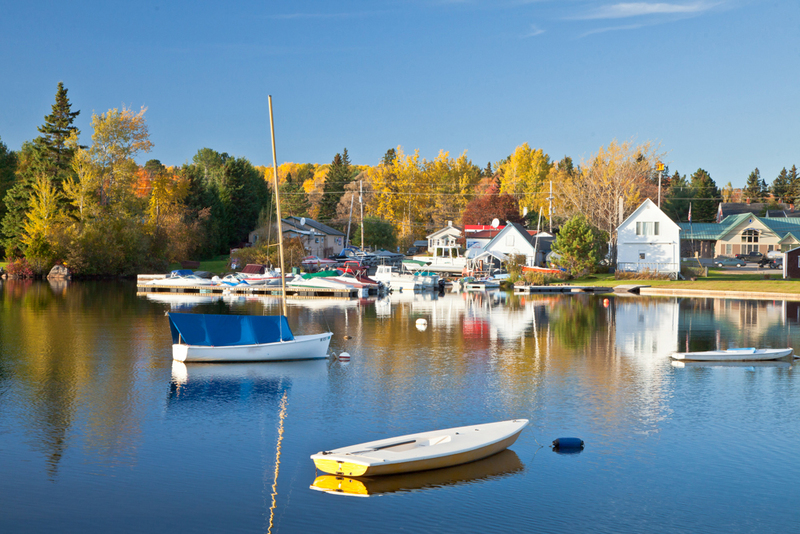 The six glassy Rangeley Lakes are a mecca for flatwater boating. The Appalachian Trail passes just south of town. And with beleaguered Saddleback Mountain having announced a new owner (still on track as of press time, in late January), there’s renewed, if cautious enthusiasm about Maine’s third-largest ski area and eighth-highest mountain (not to mention Franklin County’s third-largest employer). Needless to say, hospitality and tourism make up a big part of Rangeley’s employment mix. Forest products jobs have dwindled, but plenty of Rangeley-ites still make all or a part of their living in the woods. Still others work in a scatter of service jobs or make the long-ish commute to Farmington or Rumford. No need to commute for food and drink, though — after long days of wholesome outdoor pursuits, Rangeley-ites tuck into venison sausage at 45th Parallel American BBQ or grab a cocktail with their truffle fries at cozy Forks in the Air Mountain Bistro. And while Maine’s median age ticks upward, Census data shows Rangeley’s holding steady or decreasing of late, a trend Nichols sees in action. Top image: Pleasure boats on Rangeley Lake, which also graces this month’s cover. Photographed by Darylann Leonard. [D]amariscotta’s Main Street has a misleading designation: “Business Route 1” calls to mind ugly commercial sprawl. 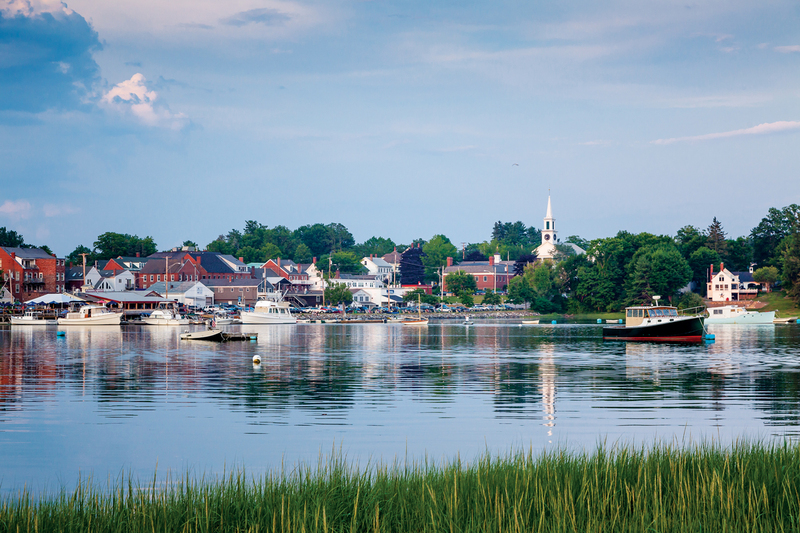 But entering the business district by way of twin-town Newcastle (essentially an extension of Damariscotta), you get a screen-saver view of church steeples, the glittering Damariscotta River, and a handsome red-brick downtown. Cross the river to find S. Fernald’s Country Store, where tasty deli sandwiches are served with a side of small talk amid shelves of penny-candy kitsch. Sumner Richards III opened Fernald’s (at a different Damariscotta location) in 1990. “I recognized that Damariscotta was the center of this area as far as commerce goes,” recalls the Portland transplant. He was right — although it took a quarter century to confirm it. 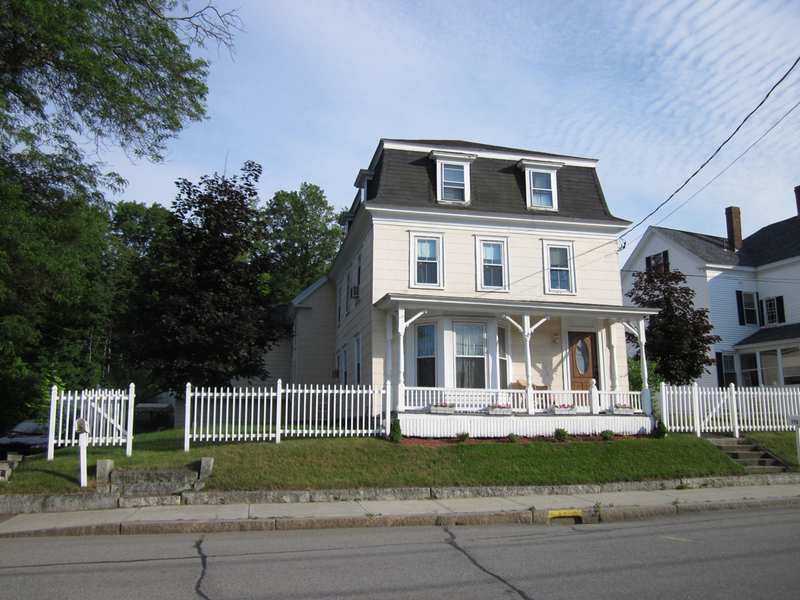 During that time, Sumner III had a son, Sumner Richards IV, and moved the store to Waldoboro. Like many a Lincoln County youth, Sumner IV grew up and left home, lured by the call of the city. But both Sumners and their family-run store have since returned to Damariscotta, drawn to a river town with all the midcoast perks (woods, beaches, terrific paddling, all the oysters you can eat) and only a fraction of the tourist traffic of, say, Wiscasset or Camden. At 28, he’s delighted to be among them. Young entrepreneurs are injecting new vitality into Damariscotta, bringing with them everything from artisan bread at Head Tide Oven to ambitious farm-to-table dining at Van Lloyd’s Bistro to action figures and superhero garb at Smitten Collectibles & Nerdy Treasures. Photographed by Sue Anne Hodges. [I]f at first you don’t secede, try, try again. In 2007, after more than a century of false starts, Chebeague Island achieved its independence from the mainland town of Cumberland, affirming what people who live there have always known: that this island town in Casco Bay is its own self-contained community. It’s also a resourceful one. Services in the town of Chebeague Island (which consists of Great Chebeague and several smaller islands) range from a library to an assisted-living facility to its own Internet provider (chebeague.net), all to support fewer than 400 year-round residents (though the summer population swells to about 2,000). And not only does the island have its own elementary school, that school was the catalyst of the successful secession movement nearly a decade ago — a cost-cutting proposal from the Cumberland–North Yarmouth school district would have sent Chebeague’s fourth- and fifth-graders to the mainland. It’s a testament to Chebeague’s community spirit that, despite an aging population, islanders value the importance of local kids getting a local education. Commercial fishing and marine construction are big business on the island (the Chebeague Island Boat Yard is as much a community hub as the school), and so is summer tourism — the Chebeague Island Inn and Great Chebeague Golf Club are the biggest draws. Locals are a tight-knit bunch, but they appreciate all the same quiet beaches and rocky coves that attract the summer folks. [A] river runs through it (the Androscoggin). So does a federal highway (US Route 2). But Bethel is best known for what looms above and beyond it: the dramatic and often snowcapped Mahoosuc Range. Nearby Sunday River ski resort records more than half a million skier visits a season, and it’s also invested millions in warm-weather recreation like mountain biking, zip-lining, and a top-notch golf course. That steady growth has restored the reputation that Bethel developed as a summer resort more than a century ago, when wealthy visitors flocked to the town by train. Today, it entices a mountain-town crowd that’s young, active, and entrepreneurial. Sunday River also attracts a whole satellite economy of hotels, lodges, upscale eateries, and services that local marketing consultant and Ski Museum of Maine president Wende Gray calls “unusual for a rural town.” Just how unusual? Let Gray count the ways: “We have local access to a health center with two doctors, a lab, and an x-ray suite; a veterinary facility with three vets; a pharmacy; a supermarket with everything from a deli counter to fresh lobster; a specialty food store with spices from around the world; a women’s dress shop you might expect to find on Newbury Street in Boston; a historical society with exhibits and a period house; and a choice of at least six different pizza joints. [I]f you’re coming to Cornish from away, you’re likely on the lookout for something old and outdated. Not that there’s anything musty about Cornish itself, it’s just that this York County burg is an antiquer’s paradise. Timeworn artifacts move through like seasonal fashions on Manhattan’s Seventh Avenue. The antique biz complements a palpable sense of history along Cornish’s Main Street (the gable-roofed Cornish Trading Company, for instance, once housed a general store and a Masonic lodge). The town’s many fiber artisans and craftspeople contribute to the days-of-yore feel. But while Cornish reveres the past, its flourishing small business community doesn’t dwell there. Since 1990, the Cornish Association of Business has worked with town government on planning issues as Cornish’s population has swelled by more than 20 percent. Its members include spas, holistic healing practitioners, and digital marketing firms. “They’ve come together to build Cornish into a flourishing town,” says Fulginiti. [Y]ou know that old saying about making chicken salad out of chicken, um, excrement? That could be Belfast’s motto, in a sense. For decades, poultry processing was the midcoast town’s principal industry. When the poultry trucks tore through, it’d snow feathers. A sheen of chicken grease rendered the harbor a smelly eyesore. Then, when the processors closed in the ’80s, they left a gaping hole in Belfast’s economy. Flash forward 30ish years. Belfast’s harbor, long since degreased, is a thing of beauty. The Harbor Walk, completed in 2013, leads through the green idyll of Heritage Park, past the beer-geek den of Three Tides bar and restaurant, and alongside Front Street Shipyard, which specializes in building and repairing large yachts. The yard, once an abandoned sardine plant, now anchors a revitalized waterfront. If any town in Maine throws more civic festivals than Belfast, we have yet to discover it. The thriving dining, drinking, and retail scene that is Belfast’s downtown hosts art fairs, a Celtic fest, a Harbor Fest, a ukulele fest, a peace fest, the SXSW-ish All Roads Music Festival, and many more revelatory community functions. Many reflect the free-spirited, slightly crunchy vibe that permeates Belfast — a legacy of the back-to-the-landers who flocked here in the 1970s. Their exploits (and progeny) earned Belfast the nickname “Moonbat Kingdom” and help account for the success of institutions like The Green Store, the Belfast Cohousing & Ecovillage, and the 3,900-member Belfast Co-op. But today, Belfast’s identity is a rare gumbo of blue-collar, tie-dye, and white-collar. Bank of America and athenahealth are among the town’s largest employers. BOA’s corporate predecessor, credit card giant MBNA, invested heavily in civic improvement when it was the top-dog employer in the ’90s and early 2000s. One such project was the grassy Belfast Common, which supplanted derelict poultry plants and opened up a sterling view of the Passagassawakeag River. See? Chicken salad out of you-know-what. Except in today’s Belfast, the chicken salad is made with free-range birds. [L]ubec is Down East Maine at its down-est and east-est, a weather-beaten jut into the Atlantic that draws jack-of-all-trades types. Fishing, forestry, blueberry raking, and trade work are all big: you gotta get up early to get by in Lubec. The town obliges with the earliest sunrise in the Lower 48. The payoff for what can be a hard living? Some of the most spectacular scenery on the Maine coast — and some of its most affordable real estate. Fairchild’s homegrown business, Love at First Light, offers “gifts, photographic art, and a vacation home rental.” That’s typical of Lubec. Many residents have more than one job; many businesses offer more than one product or service. (Consider the Save Our Strays Cat Shelter, Gift and Thrift Shop. Or Wags and Wool, a yarn store and pet supply shop.) Having seen an entire sardine industry come and go, this is a community that now specializes in not specializing. But even as Lubec has weathered some blows (the town’s high school closed in 2010, and the local assisted-living facility recently shut its doors), the town’s service and hospitality sector has made strides. Nobody would mistake Lubec for cosmopolitan (nor, one imagines, would its residents care to be so mistaken), but a new brewer in town is serving craft IPA and organic sourdough pizza at the Lubec Brewing Company, and just down the road, the new chef at Water Street Tavern is a L’Academie de Cuisine grad whose plates are winning over locals. Both, like Fairchild, are folks from away who fell in love with Lubec and decided to make a go of it. Transplants like these are increasingly transforming Maine’s rugged easternmost outpost. [S]uburbs get a bad rap, often with good reason: cookie-cutter houses, miracle-mile strip malls, spirit-sapping commutes. But a suburb done right can provide exactly the kind of leafy retreat that sparked an exodus from cities in the first place. But it must develop organically. And it must have a prime (read: scenic) location, some social centers of its own, and a full suite of public services, including top-of-the-line schools. 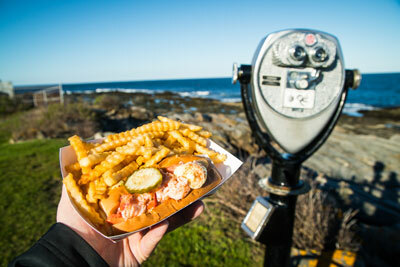 Cape Elizabeth checks all boxes. Organic development? Heck, the town arguably predates Portland, making it weird even to call it a suburb. Scenic attractions? 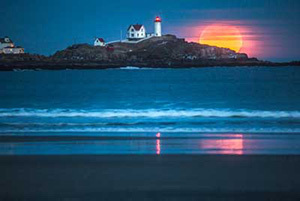 Find three gorgeous lighthouses (Cape Elizabeth Light, Ram Island Ledge Light, and Portland Head Light); three oceanfront parks (Crescent Beach and Two Lights state parks and Cape’s own Fort Williams); a pretty tidal river (the Spurwink); a Great Pond, a Little Pond, and a scatter of even littler ponds; a few lovely islands; and miles of rocky coastline. Social centers? A once-quiet Route 77 has lately seen a spate of new hangouts, like rustic-mod neighborhood bistro Rudy’s, while Kettle Cove Creamery & Cafe has been a flip-flop–friendly hub for decades. As for those top-of-the-line schools, Cape Elizabeth High perennially finishes within the top three in US News & World Report’s ranking of Maine’s public high schools. Talya Edlund, who instructs third-graders at Pond Cove Elementary School, was recently named Maine’s 2016 Teacher of the Year. Accepting the award, she told her class, “You make my job an adventure every day.” Cape Elizabeth’s rocky shores and still-bucolic feel add a little daily adventure to life in the suburbs. See the eight other towns from the tournament. It’s a two-way street that provides many shared services, including the Black Bear Orono Express, a bus service that’s free for all riders thanks to joint funding from the town, the university, and other entities. 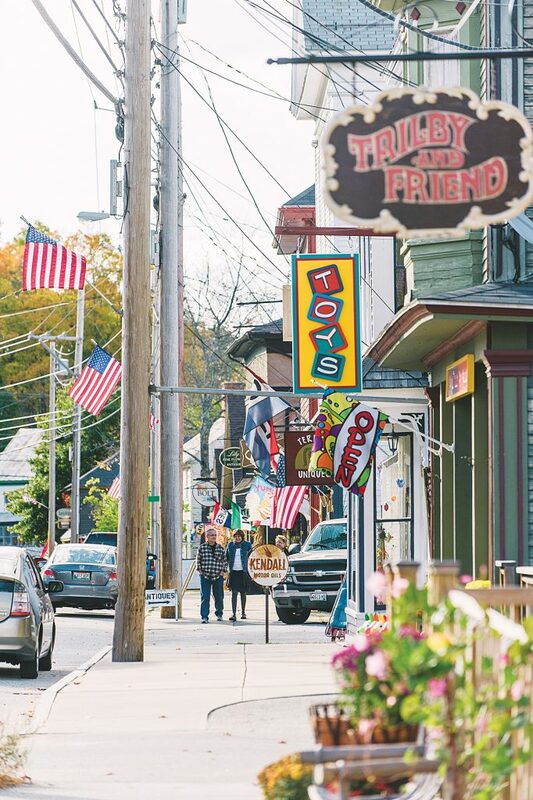 UMaine students also contribute to municipal projects, like working with the Orono Village Association to prep a marketing plan for the downtown area. Best of all, UMaine provides Orono with a hedge against one of the state’s most pressing problems: a graying population and the associated stresses. Orono’s median age, 22, is the lowest of any town on this list by 17 years, but you don’t need to be a twenty-something to appreciate Orono’s college-town amenities (the great burritos at Verve, Orono’s three separate craft breweries, world-class performances at the Collins Center). What’s more, UMaine now allows students from other northeastern states to pay the same tuition they’d pay at their home state’s flagship institution, so Orono gets what few other Maine towns do: an annual influx of outsiders, and the fresh energy and perspectives they bring. [F]rom all the dual French/English signage around Fort Kent, you might think you missed a turn and wound up in Canada. You’re up there, all right. 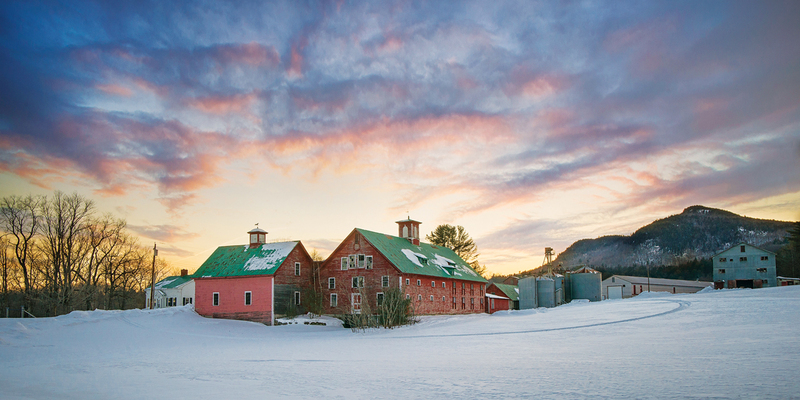 But while Fort Kent — on the northern edge of Aroostook County, at the tail end (or beginning) of Route 1 — might seem like a frontier town to visitors, locals don’t feel all that isolated. UMaine’s Fort Kent campus brings in art and culture, and the town rallies around Bengals sporting events. Businesses like the Market Street Co-op and Lonesome Pine Trails, the local ski hill, are community gathering spots. And what may seem like an outpost by car is actually a hub for snowmobilers — the Fort Kent SnoRiders club maintains some 70 miles of trail, connecting to thousands more in the Interconnected Trail System. [S]outh Berwick is a hometown right out of a black-and-white movie. It’s the kind of town where the fire department still rescues kittens from trees (seriously, that happened recently). 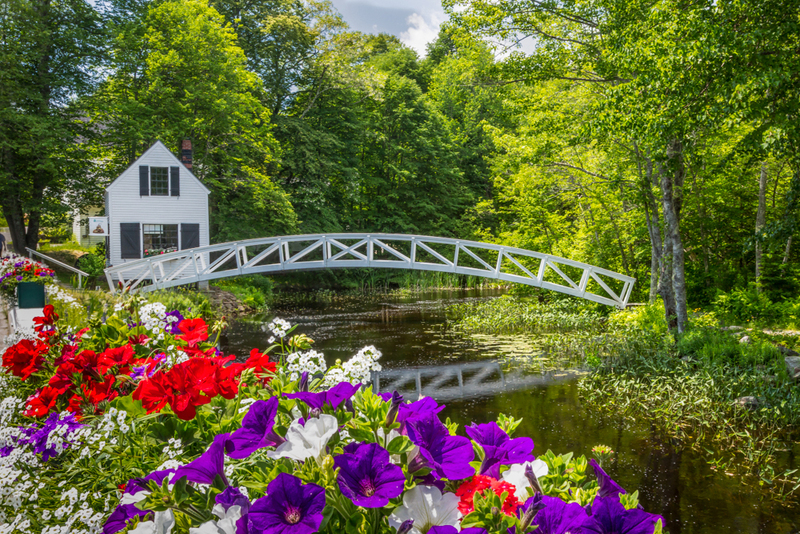 It’s the kind of town that enjoys a family-friendly good time, like the annual Strawberry Festival in June or the Lantern Fest at Knights Pond near summer’s end. And it’s the kind of town that subsidizes winter fun, specifically at the community-owned, volunteer-staffed Powderhouse Hill, with its towrope powered by a 1938 Model A Ford truck engine. “Berwick Academy prepares kids very well for a higher education,” says Bill Evans, who attended in 1965. Evans, whose father was in the military, had a nomadic childhood. He grew up in South Berwick but started high school in South Carolina. When his parents decided he needed a little more seasoning before college, they immediately thought of Berwick Academy. 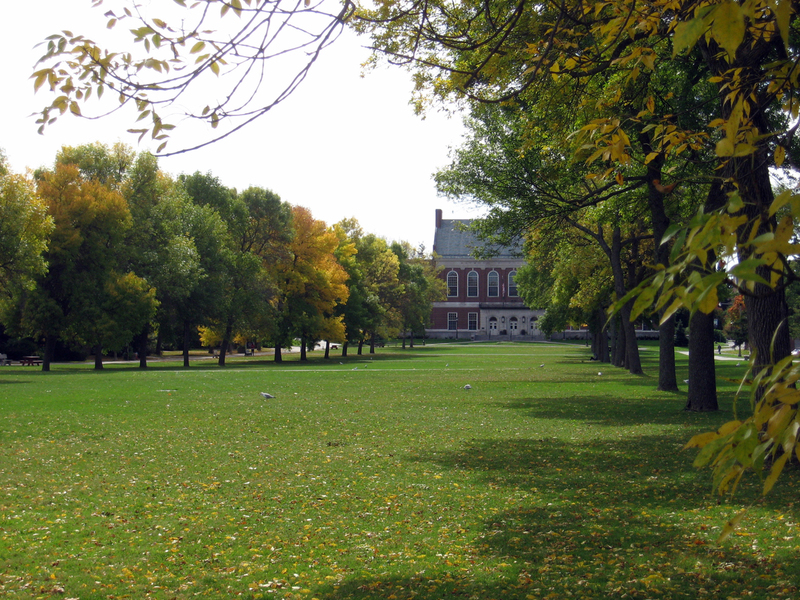 Years later, when Evans graduated from the University of Wisconsin, he was drawn back to South Berwick. He took a job at Portsmouth Naval Shipyard (South Berwick’s close enough to the seacoast that many residents commute), and he’s lived there ever since. 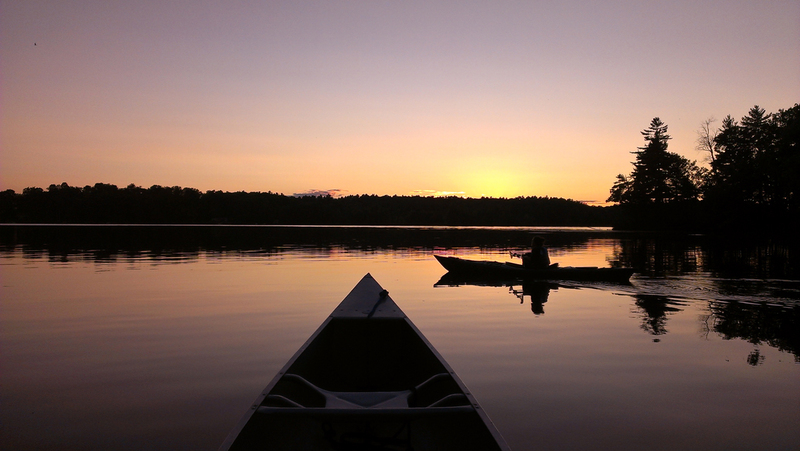 [L]ocated in the heart of Kennebec County’s picturesque Winthrop Lakes region, Monmouth is a popular vacation spot. But its shady streets, dotted with classic New England bungalows, also make it an enviable permanent home. This isn’t a town that rolls up the sidewalks after Labor Day. Even its “summer stock” plays are available year round, and the Theater at Monmouth is a source of significant civic pride. Since 1970, the Theater’s given performers from around the state and beyond a chance to workshop new approaches to classic plays at historic Cumston Hall (the state legislature declared it “The Shakespearean Theater of Maine” in 1975). The town is “suburban, with a country feel,” says Curt Lunt, Monmouth’s town manager since 2007. The small-town feel (and great fishing) comes with an easy commute to central Maine’s employment hubs (such as they are). Augusta is 15 miles northeast and Lewiston/Auburn 15 miles southwest. Rural Monmouth also attracts those who want to work the land. The Monmouth Grows organization supports “a network of farmers, agricultural advocates, and stewards of the land,” stressing crop diversity and promoting locally grown food and organic fabric. You might run into some land stewards at Yarn in a Yurt, the fiber-arts retail store at Monmouth’s Friends’ Folly Farm. Monmouth’s TexTech Industries, one of Kennebec County’s largest employers, is also in the fabric biz, but on the high-tech end of the spectrum. [D]on’t lump it in with Portland. Maine’s fourth-largest city isn’t part of Portland and never has been. In years past, its derivative name and reputation as a mall-centric shopping hub may have reinforced the mistaken notion that South Portland is an extension of its more cosmopolitan namesake. But consider that notion dispelled. 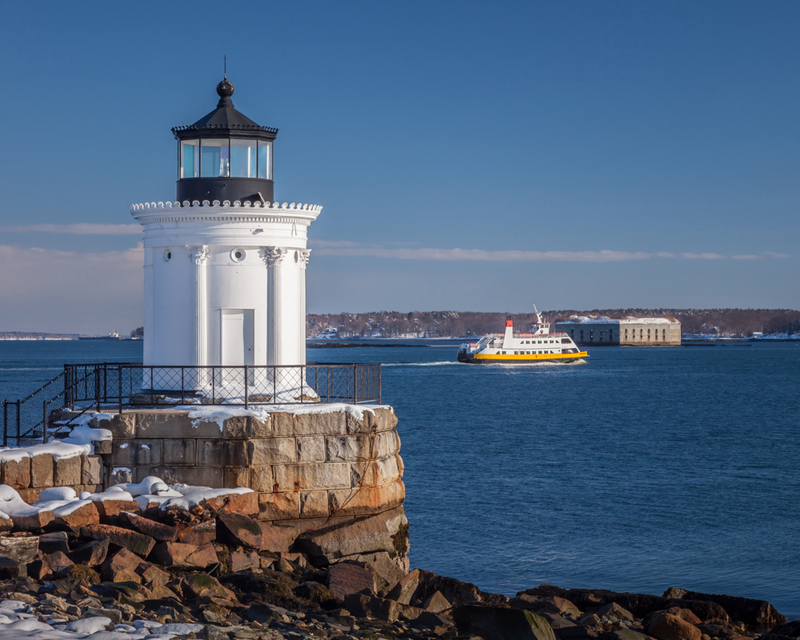 SoPo today is a diverse community with higher education and high-tech industries, a working waterfront, and an indie retail scene that has nothing to do with the chain stores out by the mall. Of late, the town has exhibited a progressive streak, opening its arms to recreational marijuana and shutting them to tar-sands oil. 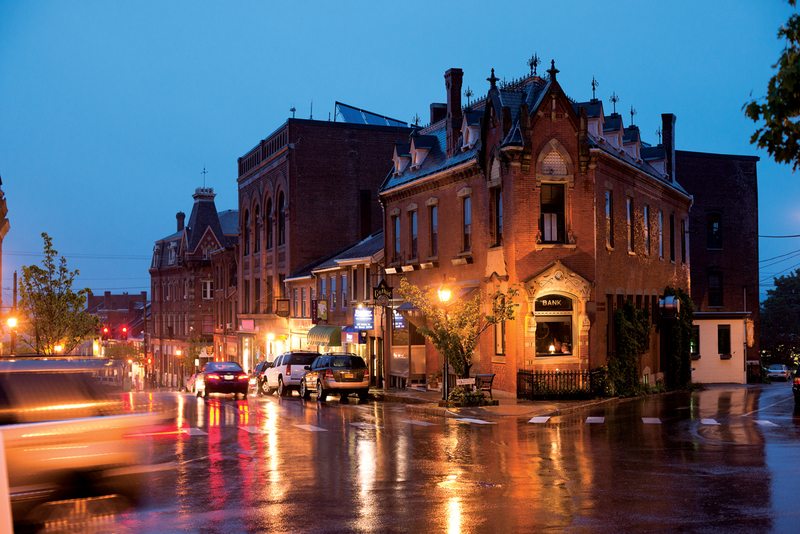 Neighborhoods like Knightville, Ferry Village, and Meetinghouse Hill are walkable and distinct, and South Portland is evolving its own thriving dining scene (of late, we’ve given particularly high marks to Elsmere BBQ and 158 Pickett Street Café). All this, but with more affordable housing than big brother Portland. And yes, when you do need to make a run to the mall, it’s a quick trip. 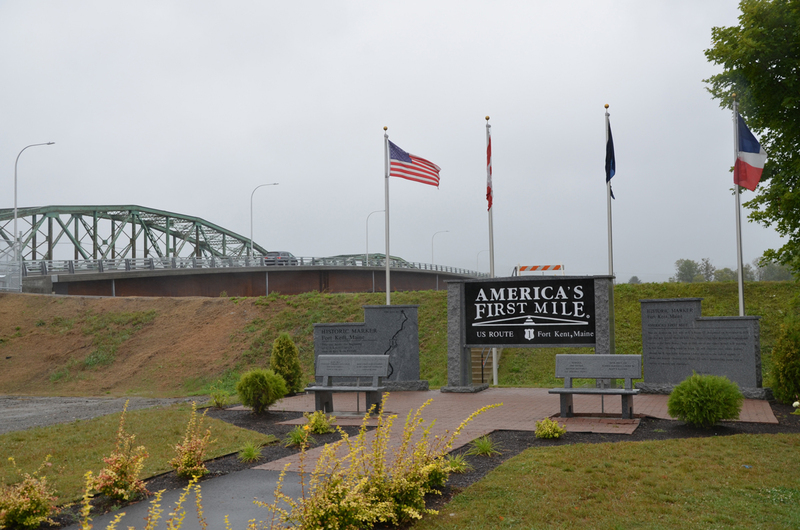 [K]ittery is Maine’s welcome mat, the first town visitors see when entering from the south (whether that’s via the Piscataqua River Bridge on I-95 or by car, foot, or bike over the newly refurbished Memorial Bridge). Sixty miles from Boston and 50 from Portland, it’s workable for long-haul commuters, but according to the town’s department of economic development, some 60 percent of Kittery residents work within a 10-mile radius. That may be because the gargantuan Portsmouth Naval Shipyard has spawned a number of satellite high-tech firms. But it’s also because Kittery is simply worth staying home for. The town has long lured visitors with outlet stores, pilgrimage restaurants like Bob’s Clam Hut or Chauncey Creek Lobster Pier, and the Kittery Trading Post, a mandatory stop for visiting outdoor enthusiasts. But it’s also increasingly a bastion for foodie culture and artisan endeavors. 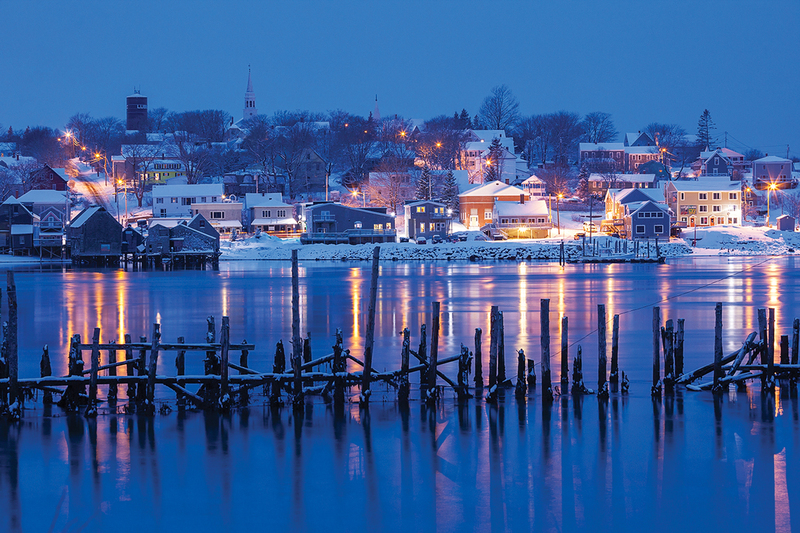 With its cool galleries, buzzy restaurants, and one great performance venue (The Dance Hall), Kittery’s Foreside neighborhood is as good a date night as any three square blocks you’ll find in Portland. Still, no one will ever mistake Kittery for some contrived “development.” Maine’s oldest town (incorporated in 1647) oozes historical cred, with Fort Foster and Fort McClary still standing at Kittery Point and a church (First Congregational) that’s seen continuous use since 1730. Sea Point and Crescent Beaches beckon in summer, and atop Mount Agamenticus, 15 miles away, is a panoramic view from the Gulf of Maine to Mount Washington. Kittery’s not just Maine’s point of entry, it’s a grab bag of everything the state has to offer. [T]o steal a phrase from the program for the Surry’s centennial celebration in 1903, Surry is “a beautiful town, the center of a prosperous region, the happy home of hundreds.” All still true of this rural village nestled between Union River Bay and Toddy Pond on the Blue Hill Peninsula. To get a sense of the town’s unhurried pace of life, one needs only click around on its website. Follow the link for the Town Clerk to find six options that strip life in Surry to its essence: Auto Registrations. Hunt/Fish. ATVs, Boats, and Sleds. Births & Deaths. Marriages. Dogs. Quiet coves and dirt roads, wooded hills and blueberry barrens: Surry’s varied landscapes and unbroken quiet are as big a draw as the community’s laid-back vibe. It’s a quick drive to work and amenities in Ellsworth and Blue Hill, and town tuitioning sends high school students to the private George Stevens Academy in Blue Hill (or the school of their choice). Compared to Blue Hill, though, home prices are nearly twice as affordable. [T]o start, it’s helpful to understand that Mount Desert Island consists of four towns, one of which is also called Mount Desert, and that Town of Mount Desert is itself comprised of six distinct villages (none of which, thankfully, is called Mount Desert Village). Each village offers prospective settlers something different. Somesville was Mount Desert Island’s original settlement. It’s where you’ll find the bank, the library, and other pedestrian amenities, along with the famed pedestrian bridge, one of the most photographed places on this famously photogenic island. Over the years, however, Mount Desert’s town center has effectively shifted to Northeast Harbor, now the heart of most commercial activity and home of both the local fishing fleet and an array of summer sailors. There’s a boatyard in Hall Quarry (not to mention a view of the only natural fjord on the East Coast). 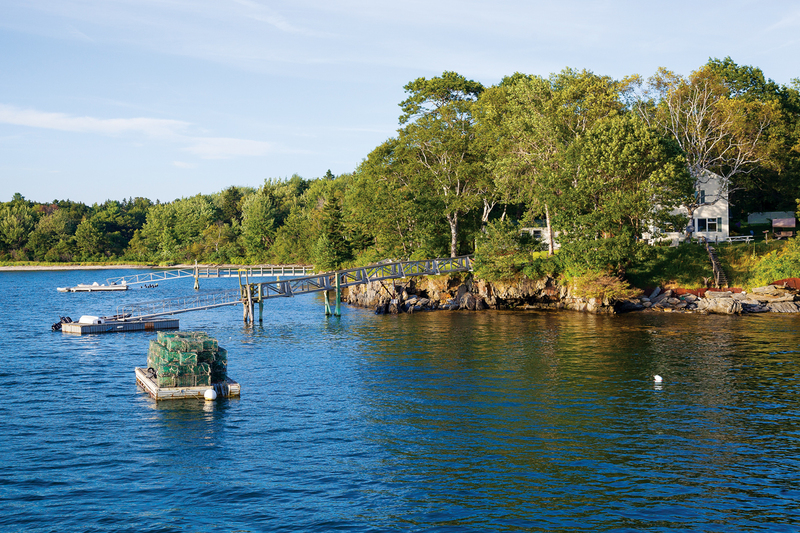 Pretty Marsh is more than just a pretty marsh — there’s also a dock for local lobstermen. Otter Creek affords quick access to the more visited portions of Acadia National Park. And Seal Harbor, with its carriage trails (a Rockefeller legacy) and outsized “cottages” is redolent of old money and popovers from Acadia’s nearby Jordan Pond House. So the town’s a little on the sprawling side, and at summer’s peak, Mount Desert locals put up with oppressive Acadia auto traffic on the roads between villages. 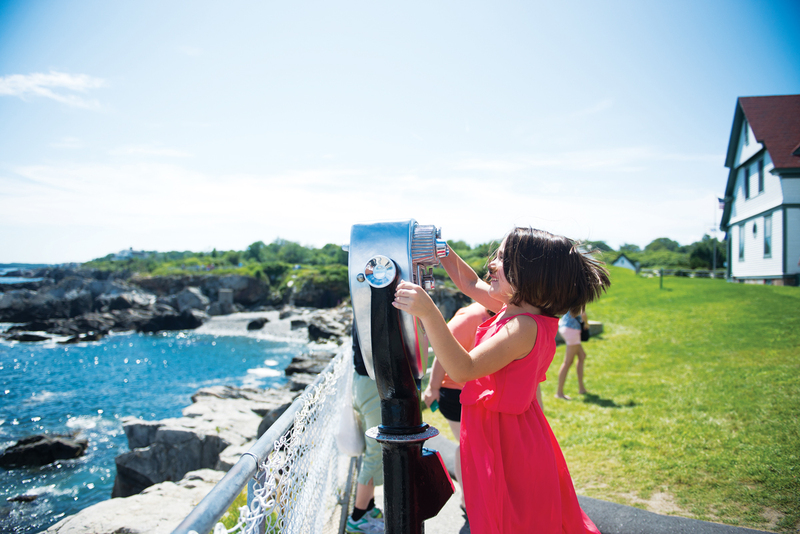 But the villages themselves see a fraction of the tourist traffic of, say, nearby Bar Harbor or Southwest Harbor — though they’re equally surrounded by Maine’s only national park and some of the country’s most beloved seaside scenery.